What catalogue raisonnés or critical catalogues are being prepared by the WPI? When will the digital publications be ready? We anticipate that the Gauguin digital CR of paintings from 1889-1903 will be available online by the end of 2020. The Renoir digital CR of still lifes will be available by early 2023. Other projects are ongoing, and specific information on a given work can be obtained prior to digital publication through our “archival request” portal. Is the WPI taking on new catalogue raisonné projects? Yes, the WPI will be commencing select and culturally important catalogue raisonné projects in the years to come. The most recent addition to our roster is the Catalogue Raisonné of Tom Wesselmann. Will the WPI be publishing any printed books? From time to time, the WPI will publish printed materials related to the artists and art historical periods under our study. All forthcoming catalogue raisonnés will only be published digitally. Does the WPI seize or destroy works of art? No. The WPI does not seize, destroy or physically alter any work of art submitted for examination. If the Wildenstein Institute already issued an “Attestation” for a work by one of the artists listed above, will that work be included in the WPI Digital Catalogue? With the exception of Van Dongen, the works that were given “Attestations of Inclusion” by the Wildenstein Institute will be included in the relevant WPI digital catalogue. However, the WPI reserves the right to reconsider a previous decision. Is there a new Van Dongen Catalogue Raisonné? Yes. On September 28, 2017, the WPI began preparing a new digital catalogue raisonné of the paintings of Kees van Dongen. We are grateful to Jean-Marie van Dongen for his support. Working in consultation with Dr. Anita Hopmans, Senior Research Manager at the RKD (Netherlands Institute for Art History) in The Hague, the WPI will continue to review oil paintings attributed to the artist for future publication online. At the moment, we are not preparing a catalogue raisonné for Van Dongen works on paper, and are not accepting any inclusion requests for such works. How do I confirm whether the Wildenstein Institute issued an “Attestation” Letter for a given work of art? If you would like to know if a work was ever issued an “Attestation of Inclusion” from the Wildenstein Institute, you must submit a Archival Request and pay a fee of $500, plus New York state sales tax. If I am not in possession of the original “Attestation” from the Wildenstein Institute, do I need to submit a Request for Inclusion to the WPI? If you want a written Letter of Determination from the WPI, then yes, you will need to submit a Request for Inclusion application and pay a fee of $2,000. Can the WPI provide information on the transactional history of works of art handled by the Wildenstein galleries? No. The WPI is not in possession of any of the Wildenstein Gallery records. How do I get a Letter of Determination from the WPI? If your work does not have an original “Attestation” from the Wildenstein Institute, and you would like to receive a Letter of Determination from the WPI, you will need to submit a Request for Inclusion application and pay a fee of $2,000. When are the next committee meetings? Each artist’s committee meeting convenes an average of four times a year, either in New York or Paris. You will be notified of the location and date of a forthcoming committee meeting once we receive your Request for Inclusion. What is stated in the WPI’s Letter of Determination? • no determination about the work can be made. If the work is to be included in a Digital Catalogue, the WPI will also provide information gathered by the WPI documentalists over the course of their research. This information should however not be considered an exhaustive account of history of the painting. It will only represent material that the WPI research staff was able to identify in our own archives and collect in the short time period before the committee meeting. Further research may be added or edited before publication in the online catalogue raisonné. What information is included on the Letter of Determination is at the sole discretion of the WPI, and will not be edited to match or support the research of other individuals or institutions. If I would like to request information from the archives about a particular work of art or artist, what should I do? Please submit an Archival request and provide a description of the kind of information you are seeking. This service requires a pre-payment of $500, plus New York State sales tax. Is the WPI continuing research on Maurice de Vlaminck? The WPI no longer solicits or considers submission requests for inclusion to the Vlaminck Digital Database. 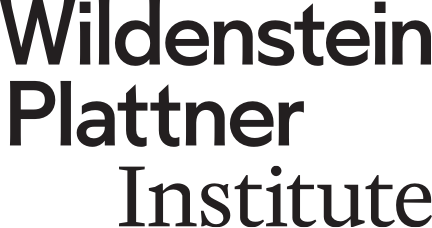 The WPI is the sole owner of the research dossiers concerning the nearly three thousand works of art that received attestations of inclusion from the Wildenstein Institute between 1992 and 2018. These works will be published in the WPI’s forthcoming Vlaminck Digital Database in the year 2029. If you would like to know whether the Vlaminck Committee studied a particular artwork between 1992 and 2018 and receive a summary of its existent research dossier from our archive, please submit an archival request through our website. Please be advised that we will not be able to respond to your request until the Fall of 2019, as all of our Vlaminck archival documents are currently being digitized and inventoried.